iPads and other tablet devices are soaring in popularity. It’s predicated that by 2015, more than 80 million Americans will use tablets regularly. While tablets provide new convenience to mobile computing, the devices are putting excessive strain on our necks and backs according to a new study from the Harvard School of Public Health. Daily tablet use may even lead to chronic pain or musculoskeletal conditions. Researchers in the study evaluated the posture of 15 experienced tablet users as they computed with their tablets in different seating positions. They discovered that in order to view the screens, users titled their necks and heads at angles which could cause excessive muscle straining and loading. It turns out that those touch screens–while maximizing portability–force people to crank their neck at angles greater than seen in normal desktop computers. The worst posture for tablet computing is holding the device in your lap since it forces you to bend your neck significantly. Instead, researchers recommended tablet users elevate their devices so that their necks are in a more neutral position. Try propping up the tablet on a table or connect a separate keyboard to the device while typing to prevent future pain. 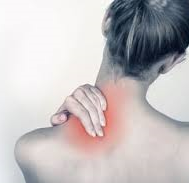 If you are experiencing neck pain give us a call at Utah Sports & Family Chiropractic, (801) 893-1010, to set up an appointment.